Packaging: Tablet pure fine milk chocolate. 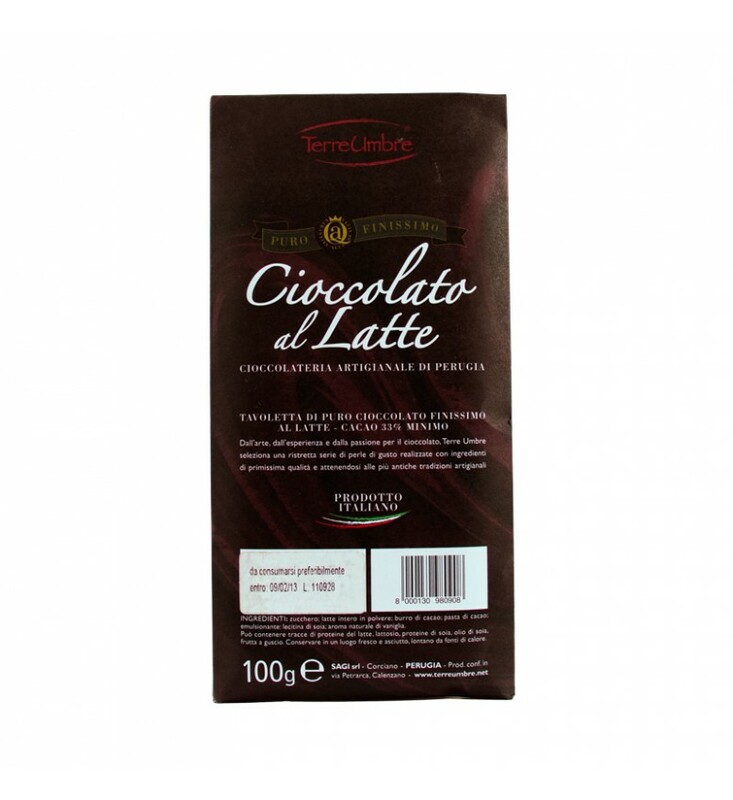 Ingredients: 33% minimum cocoa, sugar, milk powder, cocoa butter, soy lecithin, natural vanilla flavor. 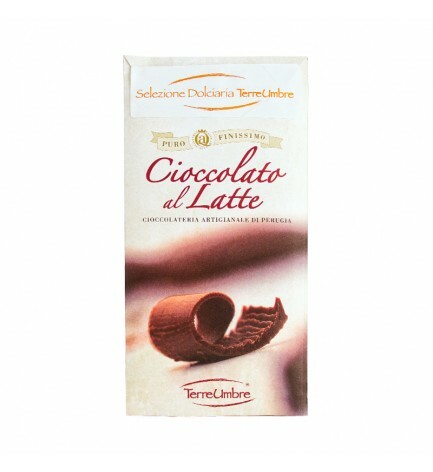 From the art and the experience of the Artisan of Chocolate in Perugia, Terre Umbre select a small set of delicious chocolates made with ingredients distinguished by high quality and the most ancient craft traditions.